Our fully privatized facilities and understanding trained staff offer you the perfect no-pressure atmosphere to come to terms with your illness and the resulting hair loss. Losing your hair is both difficult and distressing. Look good and feel better with a beautiful hair piece or hair enhancement that has been customized to enhance your natural beauty. Noticing your hair thinning or bald spots and feeling embarrassed? Feel like a brand new man with the best hairpiece for your needs. 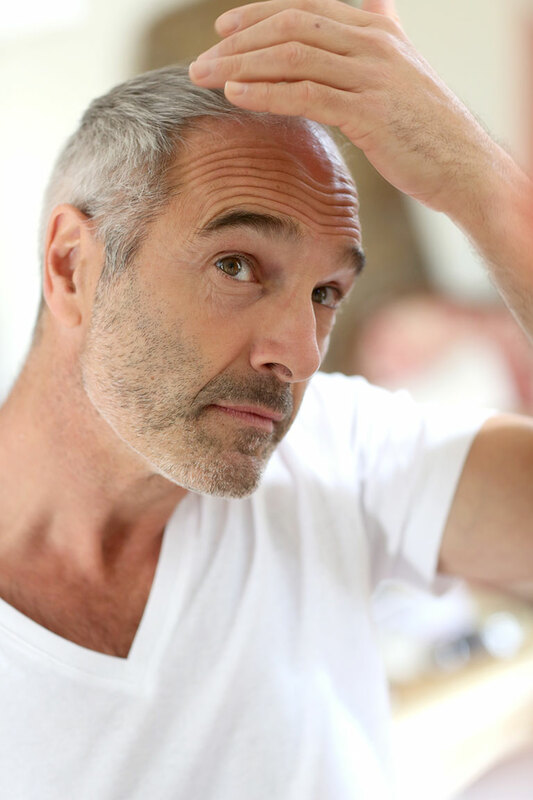 Hair loss becomes noticeable when there is a disruption in the natural growth process or the hair follicle itself stops reproducing either from being damaged or other factors. There are many reasons for medically induced hair loss, and we are trained and focused on assisting you in your hair loss journey at Hair Prosthesis Centre in Barrie. Each person’s hair loss is unique, and what causes it for one person will be different for someone else. Hair loss can begin suddenly and may be caused from an illness, poor diet, a side effect of certain medications, or as a result of a severe trauma including serious burns or even childbirth. Hair loss can also occur gradually over time. Whatever the concerning cause of your hair loss, Hair Prosthesis Centre provides a tranquil environment staffed by knowledgeable professionally trained specialists who have dealt with many unique clients’ hair loss concerns. Why choose Hair Prosthesis Centre in Barrie for your next hairpiece or hair replacement investment? An unfortunate truth is that many companies will take advantage of people in a fragile state by offering products online that should be shopped for in person. Purchasing a wig or hairpiece is one of these items. As a professionally trained hair loss expert, we are educated to ensure that the hair piece you select is the right shape, right amount of hair and right color for you and your face shape. Attempting to purchase a hair piece online has resulted in unsatisfied customers; as well as, created a bad reputation for an excellent product. Dr. Victoria Winterton, M.D. C.C.F.P. Dr. Paul C. Cotterill, B.Sc.M.D. Loosing your hair and don’t know why? A Hair Mineral Analysis is a cost effective, non invasive way to get a good look at what is happening inside your body. Request more information below.